Welcome the newly developed 3-line image sensor technology in the DR 6010C, which allows scans at an eye-raising 60ppm. All this can be achieved by any user, with one-touch job buttons. 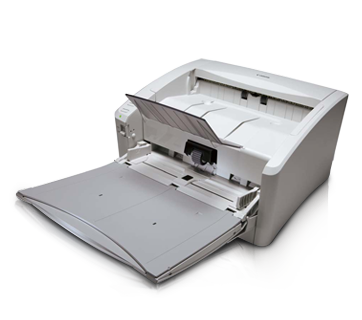 Featuring a versatile dual paper path, the DR 6010C handles diverse document types comfortably and effortlessly. The default U-turn path processes all your basic documents rapidly and smoothly, while the Straight Path feeder can process thicker items such as ID cards. For non-standard paper types such as multi-sheet carbonless paper, switch from automatic to manual sheet feeding mode to keep your scanning in smooth operation. The DR 6010C meets the high standards of the ENERGY STAR Programme guidelines for energy efficiency, meaning it requires less energy to operate, thereby also reducing running costs. Along with an auto power on / off, which smartly reduces energy consumption when not in use, the DR 6010C does its part to protect the environment, without compromising features or performance. Document quality control is maintained and kept consistent by the DR 6010C’s automatic calibration process. Prior to each scan job, the image sensor shifts to calibrate itself against a special white shading surface to ensure uniform image quality with impressive precision and clarity each and every time.